Gulf Industry provides the region’s industrial sector with a unique monthly review of everything that is of vital interest to readers – from departments covering electricity and power generation, communications and IT, environment and water to specific industry sectors such as building materials, agribusiness, food and beverages and many more. 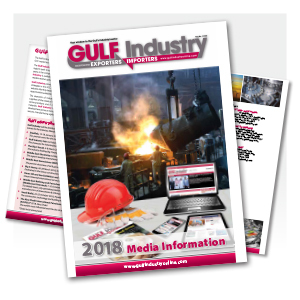 Each month Gulf Industry provides the most comprehensive round up of industry news supplemented by interesting interviews, features and analysis. Key economic indicators provide hard factual information allowing for trend analysis. Monthly detailed listings of contracts and tenders give readers unparalleled insight into the opportunities available in the region’s industrial sector. The magazine’s circulation throughout the region and internationally makes it a unique window into the Gulf’s manufacturing sector.